Well-equipped as standard. Impressive roadholding even in poor weather. Spacious interior. Cabin has some low-budget details. Pricier than some better-finished rivals. 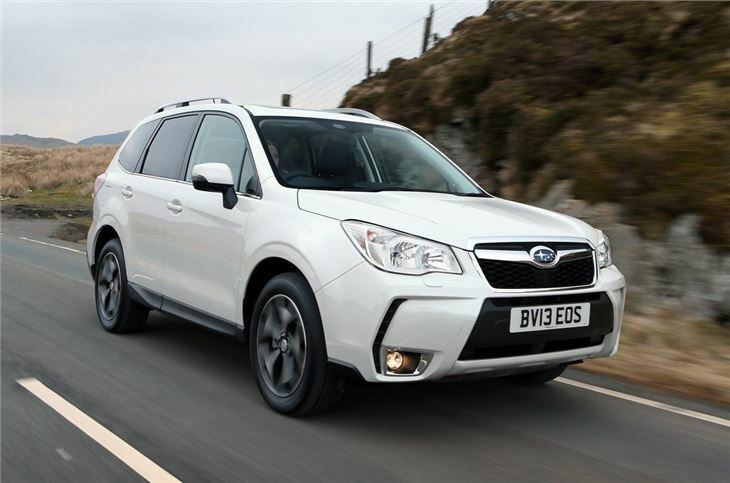 Complaint of Subaru Forester 2.0 boxer diesel DX manual going through clutches every 25,000 miles. Now on its 2nd replacement clutch. 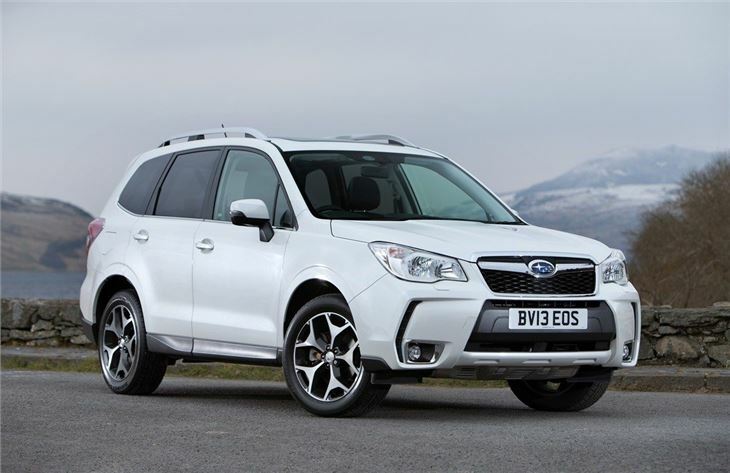 The Subaru Forester isn’t likely to appeal to many buyers. It lacks the plush, luxurious feel of rivals from European manufacturers like Audi or Volkswagen - but for rural drivers who need a sturdy, reliable car that works well on and off the road it’s a decent choice. All-wheel drive is standard and it’s effective, providing great confidence both in adverse weather and on muddy tracks or fields. There are three engine choices – an auto-only 241PS 2.0-litre petrol, a 150PS 2.0-litre petrol and a 2.0-litre diesel. 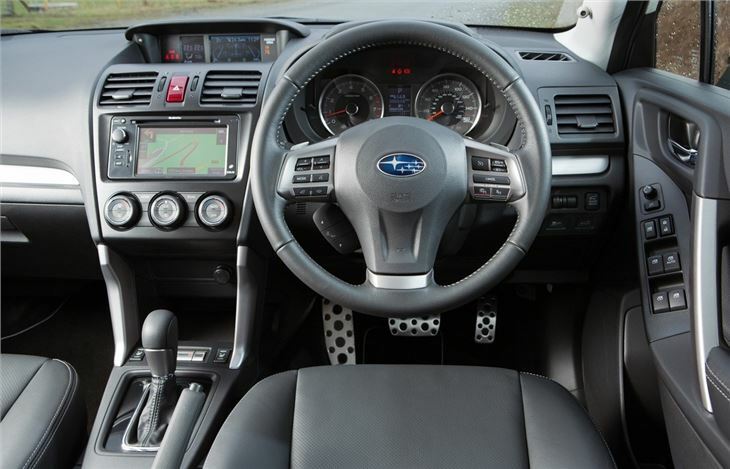 Alongside the manual gearbox, there's also an impressive automatic available. Called Lineartronic, it is quieter than most CVTs under hard acceleration, but is just as smooth and relaxing at low speeds around town. 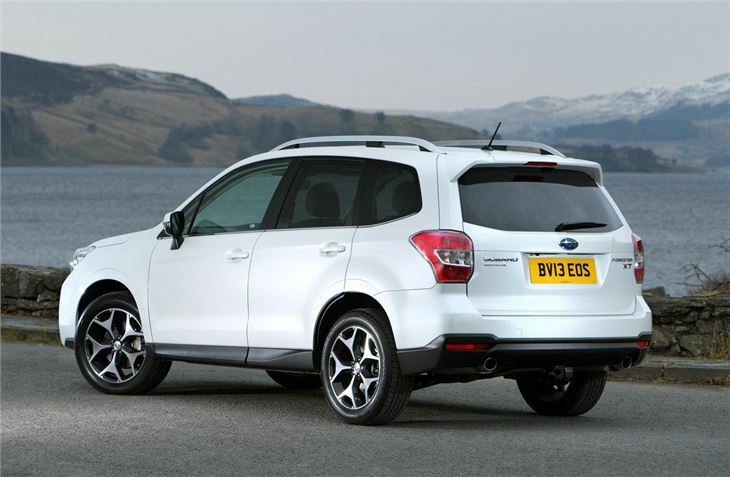 It’s probably the best fit for the Forester, since the manual variants aren’t quite as relaxing or as easy to drive smoothly, especially when pulling away from a standing start. 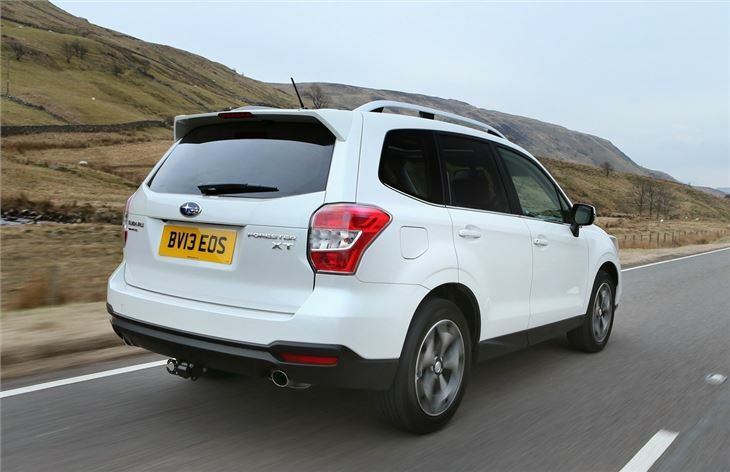 The Forester has a good braked trailer rating of between 1800-2000kg depending on the variant, which is enough to tow a medium sized caravan or a small horsebox – but it’s capability is down significantly on something like a SsangYong Rexton, which can tow a braked trailer of up to 3500kg. Practicality is good. The back row of seats is spacious enough for adults, while the raised driving position gives a good view above overgrown verges and hedgerows. The boot is big enough for typical family needs – its capacity of 505 litres is plenty for shopping trips, pushchairs and suitcases, which will all fit without any trouble. The cabin is sturdily built but it lacks the flair and plush, luxurious feeling of a Volkswagen Tiguan or Audi Q3 – but it comes with all the essentials as standard. Air conditioning, cruise control, auto lights, auto wipers, a touchscreen, a reversing camera, heated seats and Bluetooth come with all versions. 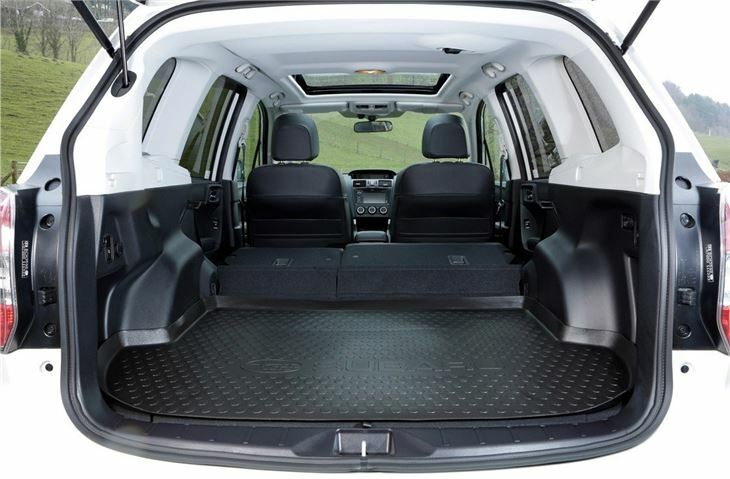 Upper trims gain luxuries like leather and a power tailgate. 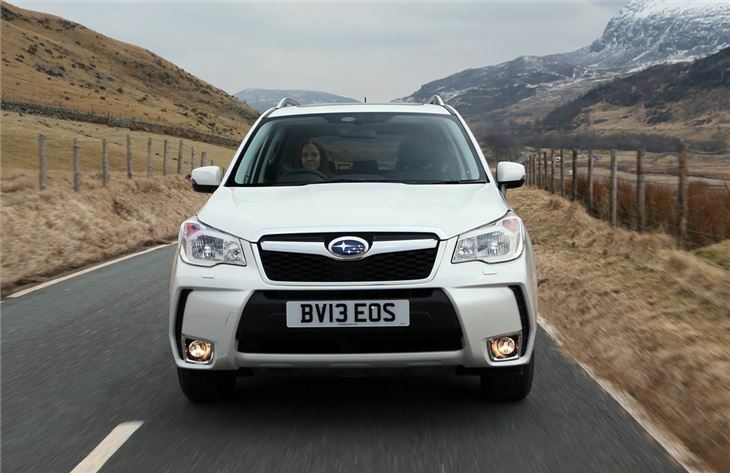 The Forester lacks the flair and style of many of its rivals – but with genuine off-road capability and a reassuring five-year, 100,000-mile warranty it will make sense to rural buyers. It's not cheap with list prices starting at around £25k and so for many, something like a Volkswagen Tiguan will make more sense – it’s more refined, more comfortable and more luxurious. GREAT 4 Wheel drive car that is built to be used and not to look at the badge!! Absolutely delighted , does everything I expected of it .